New, demo, and pre-owned skiffs & flats boats available for sale. 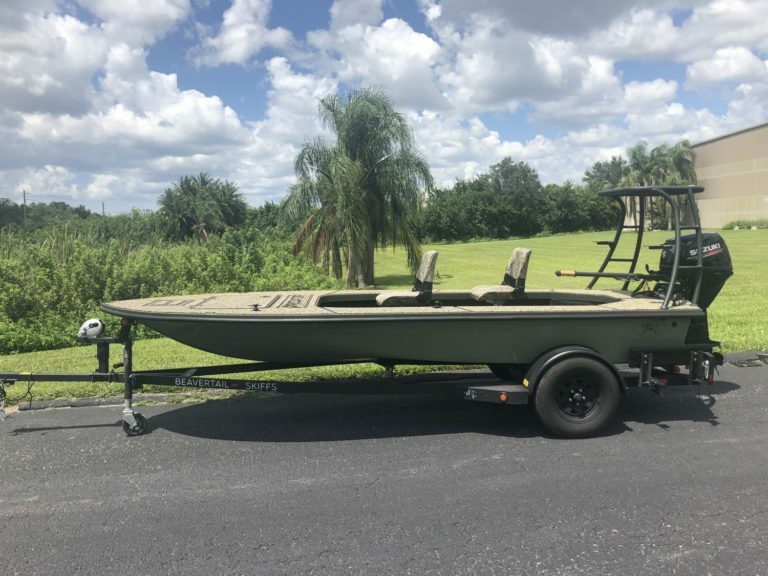 Don’t want to wait to have a Beavertail Skiff custom built? 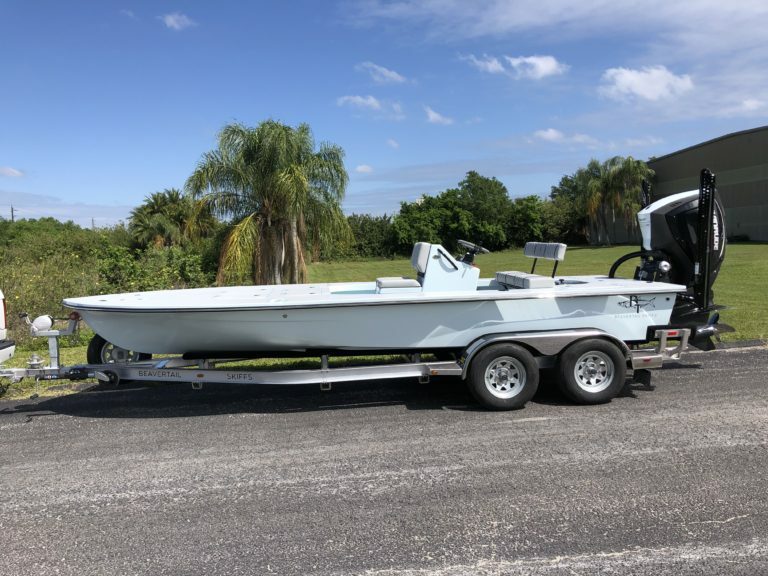 At times, we do have new, demo and pre-owned skiffs in inventory and available for sale. Check back often, as our inventory changes rapidly (these babies are in high demand)! Fresh out of the molds and available now, but probably not for long! 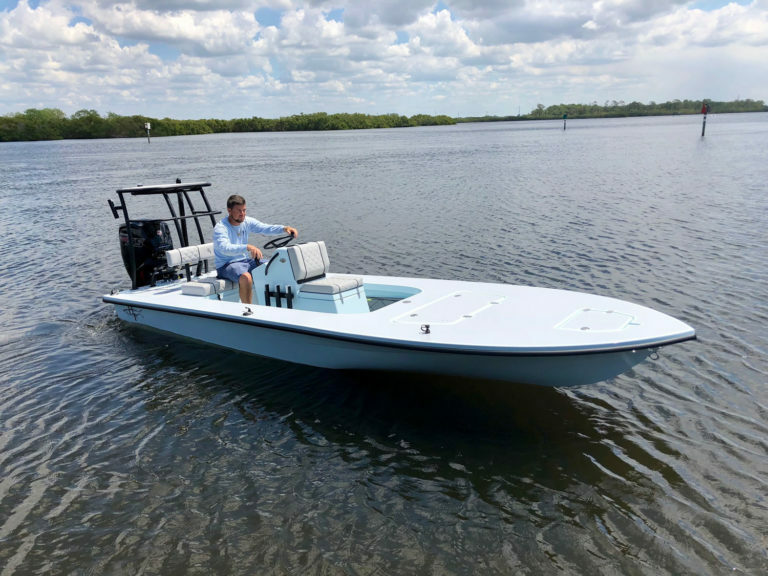 At 18’2” in length and with a 70″ beam the Mosquito is a very capable hull for many situations – however we designed it to do one thing with absolute perfection: silently stalk inshore game fish in the shallowest coastal waters. And we’re convinced that this skiff will do that better than any other skiff on the market. Period. Seeing is believing, this stunning new ride is ready and waiting! The ultimate flats fishing platform with a guaranteed comfortable, dry, fast-yet-predictable ride. 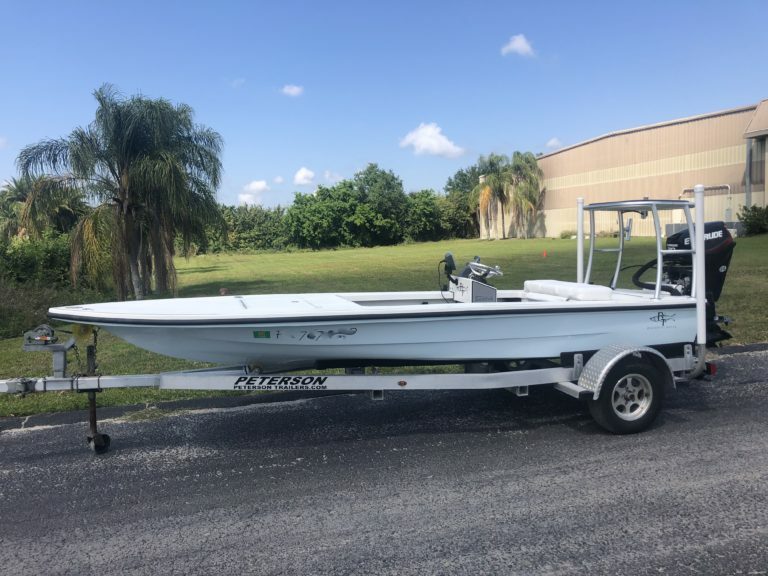 The 20’ BT Lightning with its stepped hull design truly is a game changer for those seeking high horse power performance with a dry comfortable ride. The infused hull is constructed using advanced coring & carbon kevlar materials to create a structure that is built to the highest standards and able to take on the toughest of conditions. The layout design includes a huge unobstructed forward casting area which features an anchor locker and plentiful dry storage. The aft platform features a 35 gallon oval Livewell and two large dry insulated storage compartments, it has all the fishability you could once only dream of! New in stock on display ready and waiting! 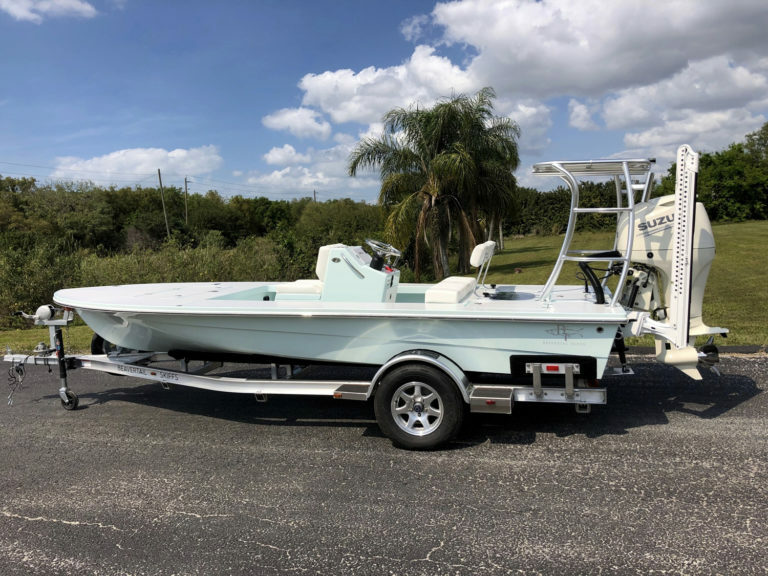 With the impressive 82″ beam the Beavertail Vengeance boasts all the comfort and stability to make it the SUV of our Beavertail Skiffs line-up. The impressive layout offering plenty of storage, an insulated cooler, and a 30-gallon live well make it so versatile for families and professional captains alike. 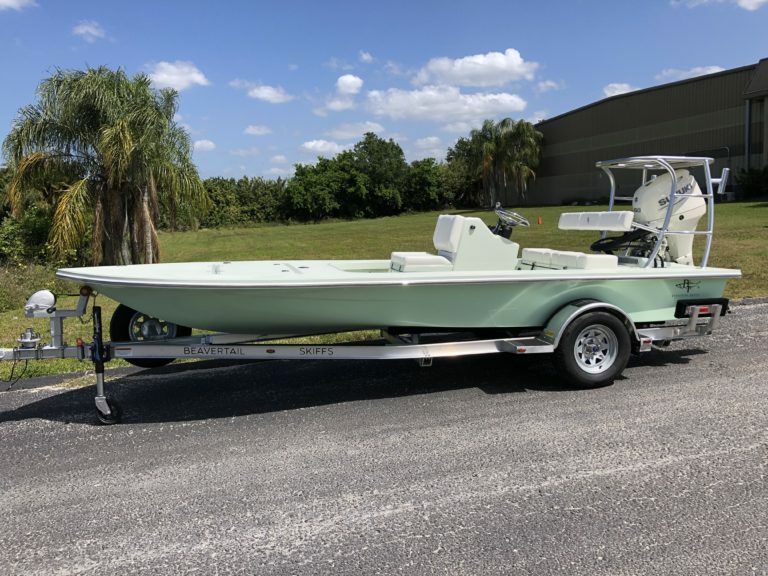 With the custom two tone color scheme combined with all the optional features it certainly is one beautiful solid fishing machine sat ready now to hitch and go play!